The percentage of fatal accidents per mile driven increases after age 75. 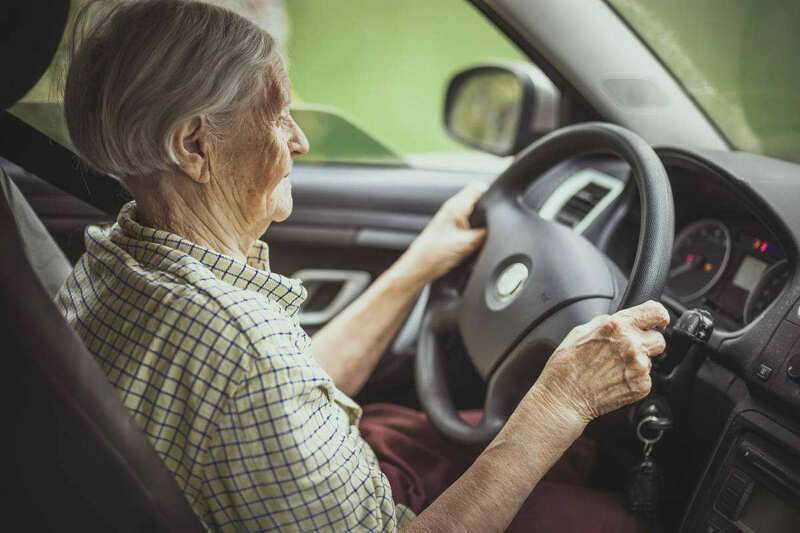 Elderly drivers have a limited range of motion, weak muscles, and fragile bones. They also take more medication than the younger generations. Their frailty can make them more likely to die in a car accident, and not their tendency to get into crashes. Close to 6.000 elderly drivers died in car accidents in 2014 and 220.000 were injured. And, considering that 70 million people in the US will be over age 65 by 2030, they deserve special consideration. Missouri is one of the states that try to make driving more accessible for older citizens. However, elderly drivers must comply with a few rules to renew their license. For instance, they have to take a vision test every time they renew their license. Renewing more often is also another safety measure, giving the DMV multiple opportunities to observe the drivers and assess them. Drivers over 70 years old must renew their license every three years. If there are any suspicions of driving impediment, then they must also take a written and road test. However, while these measures keep elderly drivers away from the road for a short time, it has proven to be ineffective against car crashes. Traumatic Brain Injuries that occur in elderly car accident victims need more attention and special care. Traumatic Brain Injuries (TBI’s) are serious injuries that require immediate attention and correct diagnosis. Traumatic Brain Injuries that occur due to a car accident might not even show up at the time of the accident. Its effects could present themselves months or years later. Traumatic Brain Injuries that occur in elderly victims need more attention and special care because TBI’s in the elderly can present unique challenges. If these challenges are not addressed in the correct manner, it could affect the amount of the compensation or the ability to secure compensation for TBI. Special Concerns for Older TBI Victims? Traumatic Brain Injuries occurring in elderly people pose a unique set of challenges compared to younger TBI patients. While the medical conditions and symptoms could be the same as younger TBI victims face, their degree and level of severity, as well as recovery time increases drastically. Effects of age on Traumatic Brain Injury – As people age, the brain loses its ability to heal itself and restore normal functioning. Elderly TBI victims often experience more severe symptoms that can increase their level of disability. With an elderly TBI patient, the outcome after a TBI is poorer than for younger victims. These factors must be taken into account when filing a claim for compensation. Age and TBI – Degeneration or atrophy of brain tissue increases with age. In elderly TBI victims, TBI can actually accelerate or advance this degeneration. Moreover, it is often difficult to prove whether the brain atrophy started before or after the accident. If the lawyer can establish that the atrophy was caused, or aggravated by the Traumatic Brain Injury, it can improve the chances of recovering a higher compensation. Lawyers often seek the help of medical experts and other resources, to distinguish between natural brain atrophy and atrophy occurring due to TBI, to prove the connection between the TBI and brain damage in court. Alzheimer’s, Dementia and TBI – Those who suffer from TBI are at risk of developing Alzheimer’s later on in life. If the elderly victim had dementia or Alzheimer’s before suffering a TBI, expert testimony and proper medical evidence would be required to prove aggravation of a pre-existing condition. Elderly TBI victims should seek legal assistance from a trained and experienced St. Louis traumatic brain injury lawyer who is aware of the effects age can have on TBIs. At The Hoffmann Law Firm, L.L.C., we will use expert testimony, medical evidence, interviews with friends and family, and other resources to prove the effect of injury on the victim’s life. We can also prove aggravation of a pre-existing condition attributable to traumatic brain injury. Contact us today at (314) 361-4242 or fill out our online contact form. Having a qualified and competent lawyer on your side will ensure that your legal rights are protected and that you get the rightful compensation for your injuries and suffering.